Location, location, location! 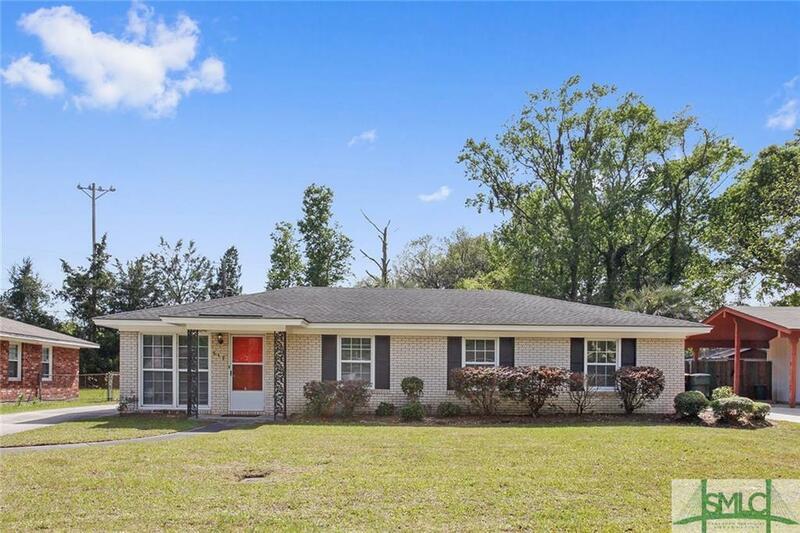 Outstanding all brick home in Wilshire Estates on Savannah's Southside. Master bedroom with en suite (shower plus vanity) and a large closet. Three additional generous bedrooms with a full bath (shower/tub combination plus vanity) in the hall. Spacious kitchen with eating bar, open to dining area, ample counter tops & wood cabinets. Rare garage that can be a workshop (has electricity) has new siding, side door and baseboards. Laundry/mud room inside the side door of the home. Home has a newer heat pump, a/c condenser, sliding glass doors to the backyard, and dishwasher. Private fenced backyard perfect for pets. The location cannot be beat...close to hospitals, medical offices, Armstrong, Hunter AAF, shopping and restaurants. Termite repair bond included. Possible flooring allowance available. Ask for more details. Schedule your appointment today to see this wonderful home.